Bold logos are beautifully imprinted on black padfolios! Color adds a splash of attitude to these black non-woven polypropylene padfolios. A front slip pocket and left interior organizer double the storage capabilities. An ID window ensures the owner of this item is easy to determine. Open the cover to reveal a conveniently included notepad and elastic pen loop. Imprinted logos look vibrant and crisp on the jet black background. 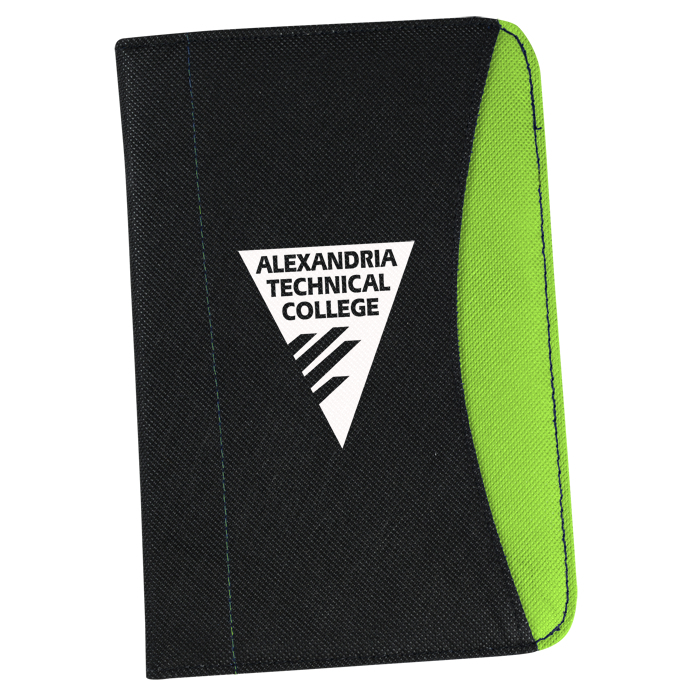 Available in a larger full size, see item #137375Curve Padfolio. Size: 9" x 6" x 1/2". Your price includes a one-color imprint on the front cover.